Aboundzeno International Co., Ltd is a Swiss-Thai partnership dealing in Silver Jewelry and Fine Jewelry with precious stones. From our base in Bangkok we sell and export to members of the trade worldwide, mainly to the European high-end jewellery industry. We are specialised in top quality rubies and sapphires, in single pieces, matching pairs and sets. We buy directly from miners or cutters, thus enabling us to know the exact origin of our gemstones. The owners and managers of ACADIA GEMS are accredited gemologists having many years of extensive experience in the gem business. We have our own gem-testing laboratory and we make sure that every single piece in our collection has been carefully identified and graded according to international standards. On request we can supply untreated rubies and sapphires with certificates from leading laboratories. We are manufacturer, wholesaler of high quality sterling jewelry base in Thailand. We offering coverage service from design, make to order custom design. 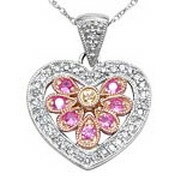 We are also buying agent for varies type of products in Thailand especially in Silver jewelry.